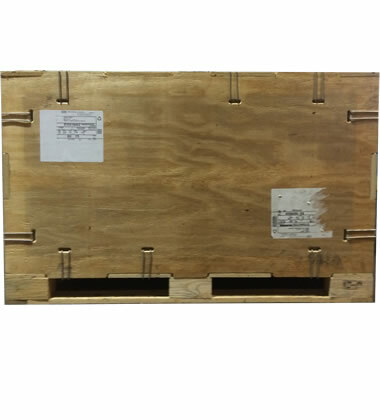 The NWC-CCSP-NC collapsible closed-frame wooden shipping clip crate with no cleats from The Nelson Company. We can meet any volume requirement and offer custom-built wood crates in sizes optimized for your cargo. Please send me a price on the NWC-CCSP-NC Clip Crate Wooden Panel Crate with No Cleats. Use this stackable wood crate in your closed loop system or as part of a return program for sending the wood crate back in stacks. Built for strength and stability, this wooden racking crate is custom designed specific to your system in either two or four-way entry. Customized dimensions for this new wooden crate along with specific choices in materials and fasteners add up to transport savings. Light Duty: < 1000 lbs. Medium Duty: 1000- 2500 lbs. Heavy Duty: > 2500 lbs. Available in Truckload or LTL quantities. Minumum quantity required. We reserve the right to change any stated information without prior notice. Not responsible for typographical errors. Not exactly what you need? Learn how we can design a custom wood crate to fit your exact requirements.